Inspirational images and words to support you in your conscious evolution. 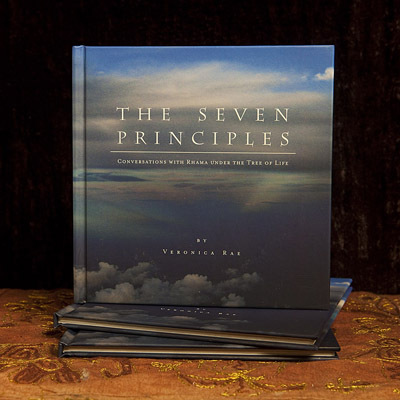 The Seven Principles is a 40-page book with simple messages that support the reader in accessing their light and divinity. Through the principles themselves, as well as the “Words of Simplicity,” and “The Four Disciplines That Guide One Towards Their Own Light” we are able to know our truth, access discernment, and live life with greater awareness. While on a meditation retreat in Brazil a white light energy appeared before me and shared The Seven Principles with me. What was once simply a journal entry is now shifting the lives of many. Each page has an image opposing the text that creates a similar feeling as the text itself. The intention behind the book is that every time you read it you will receive something new. Read a single page when you feel drawn to it, or cover to cover. It evolves with you.